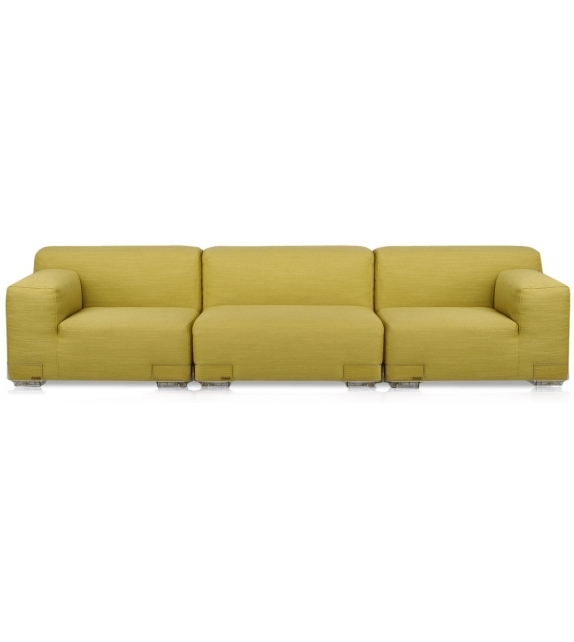 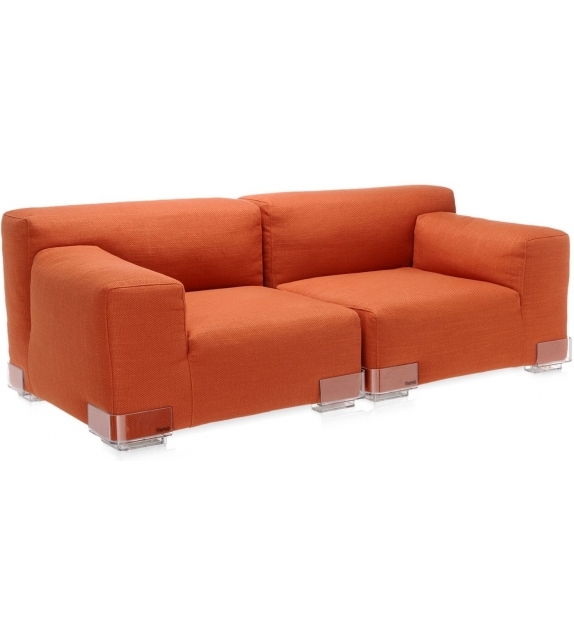 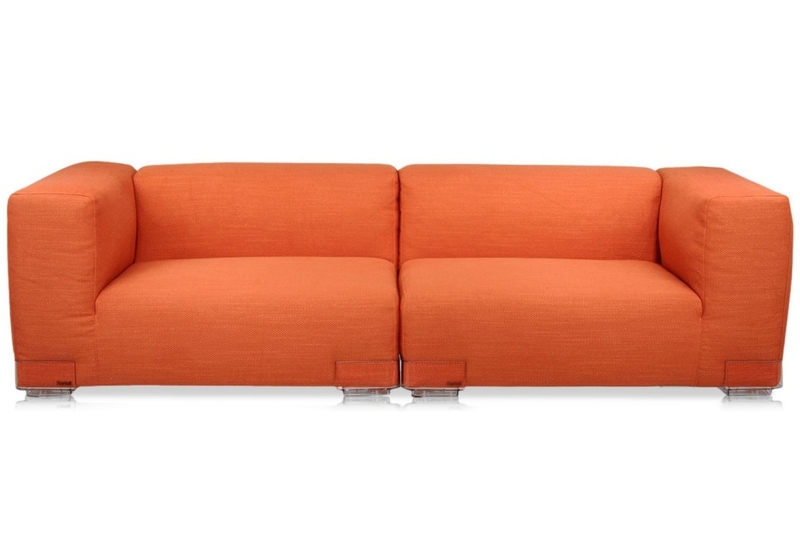 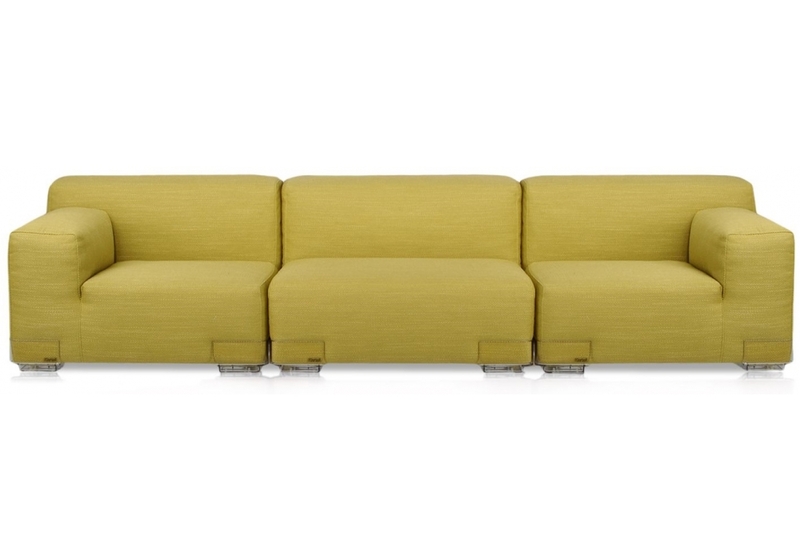 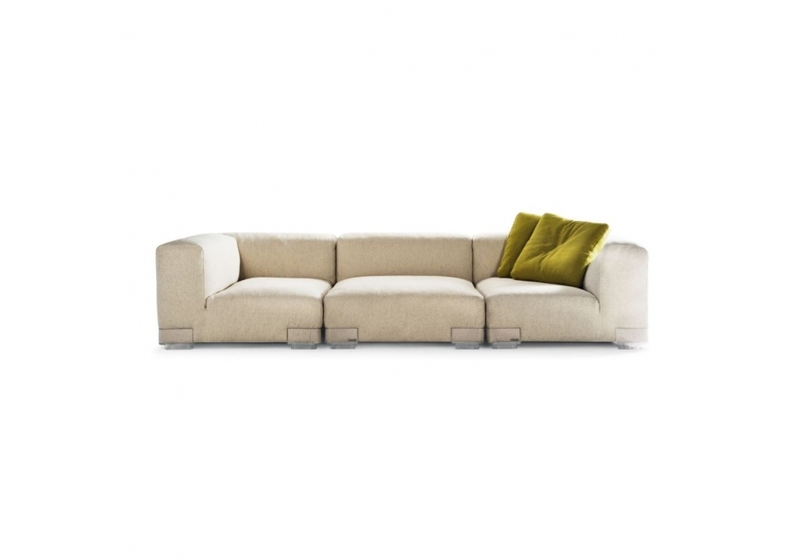 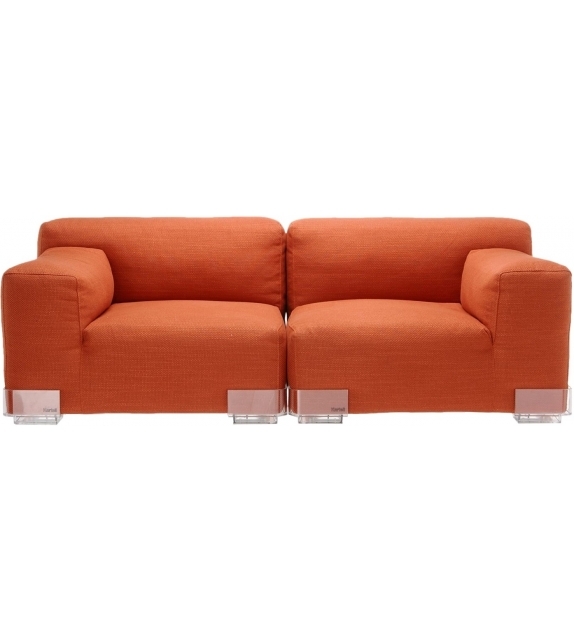 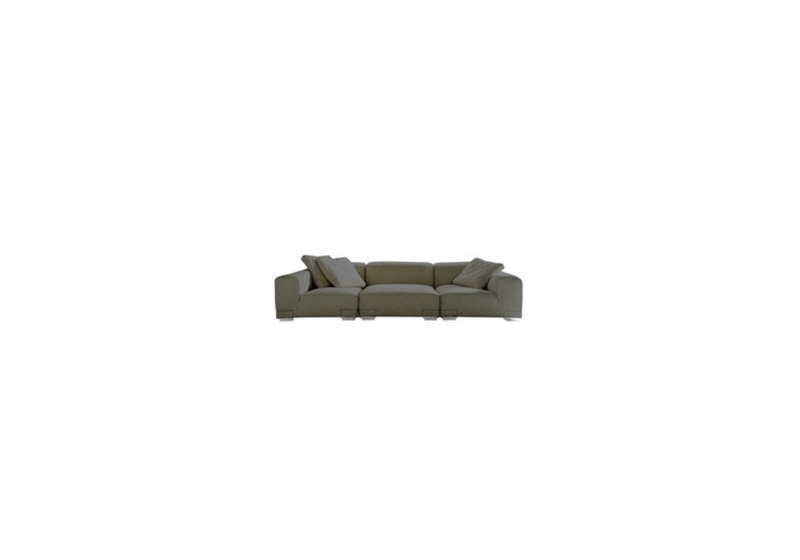 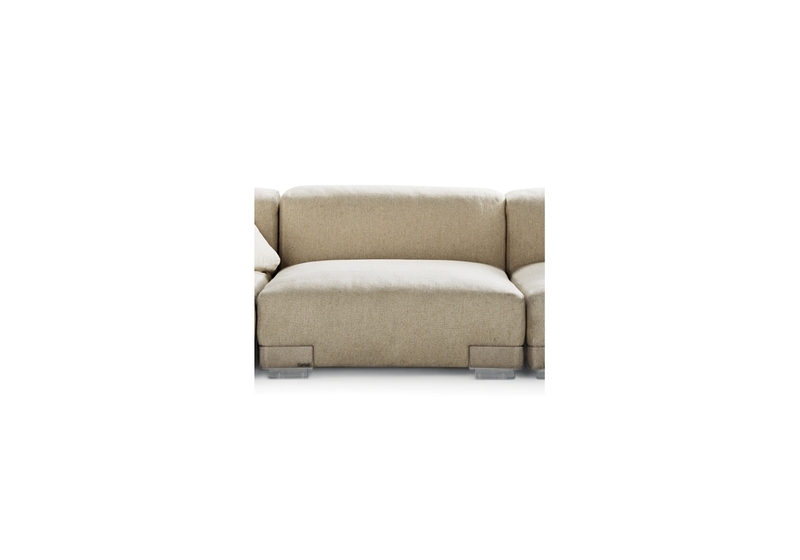 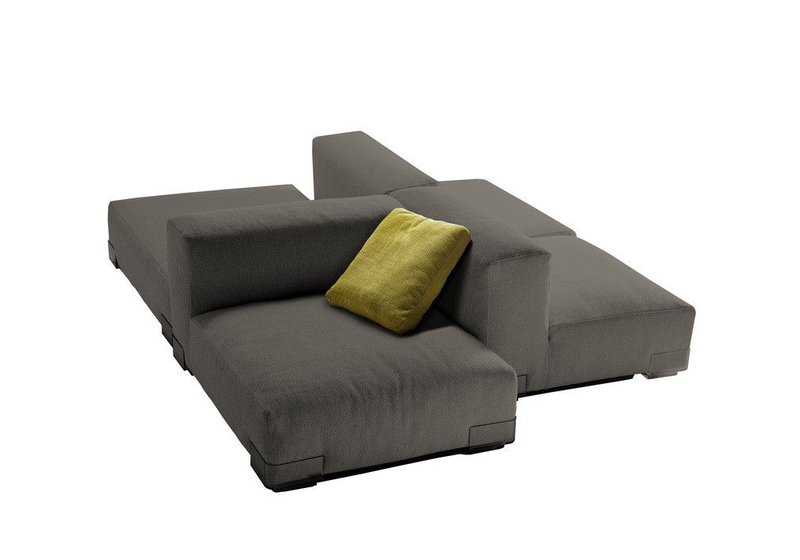 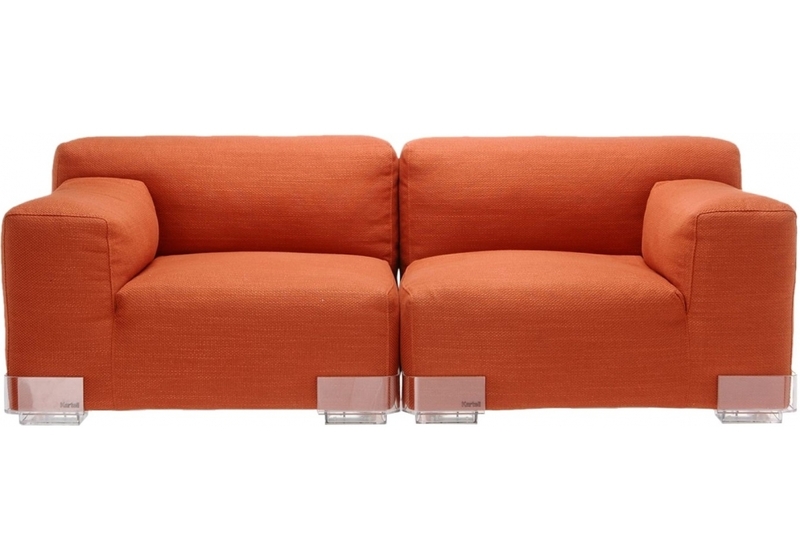 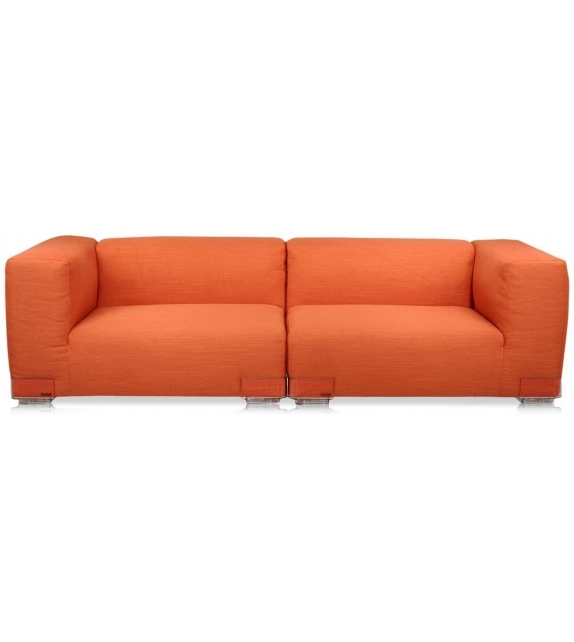 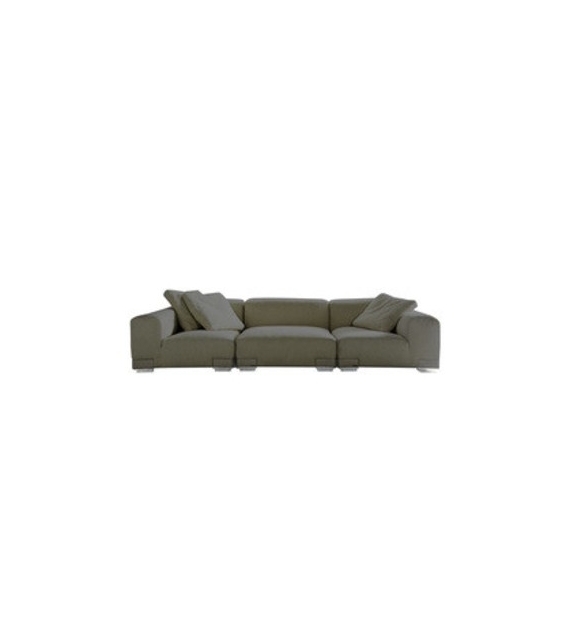 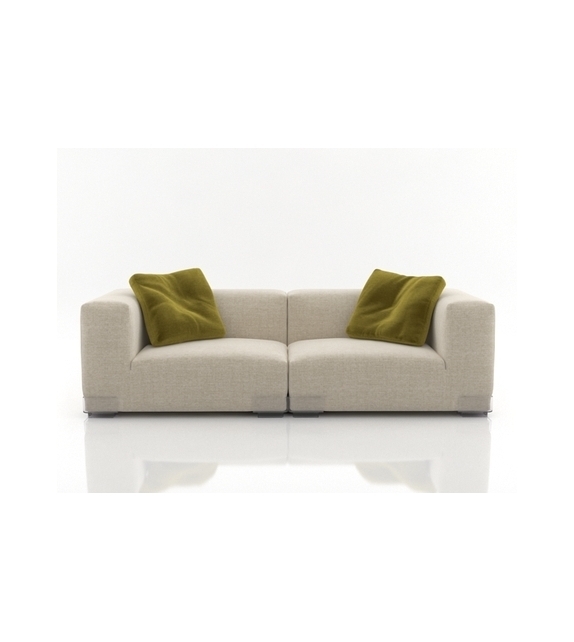 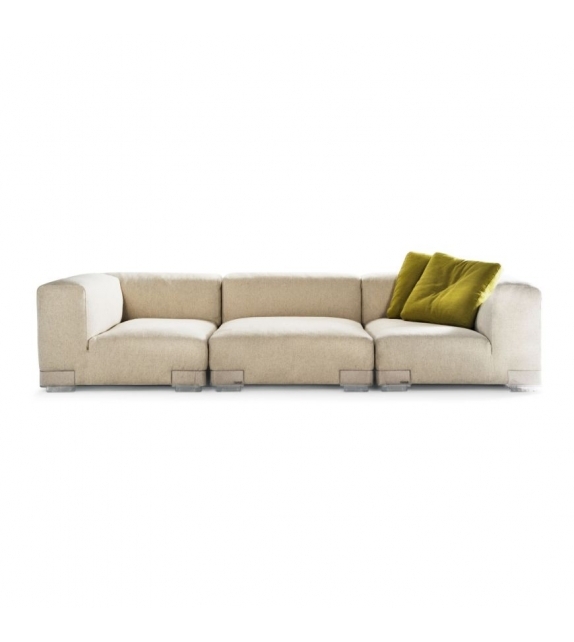 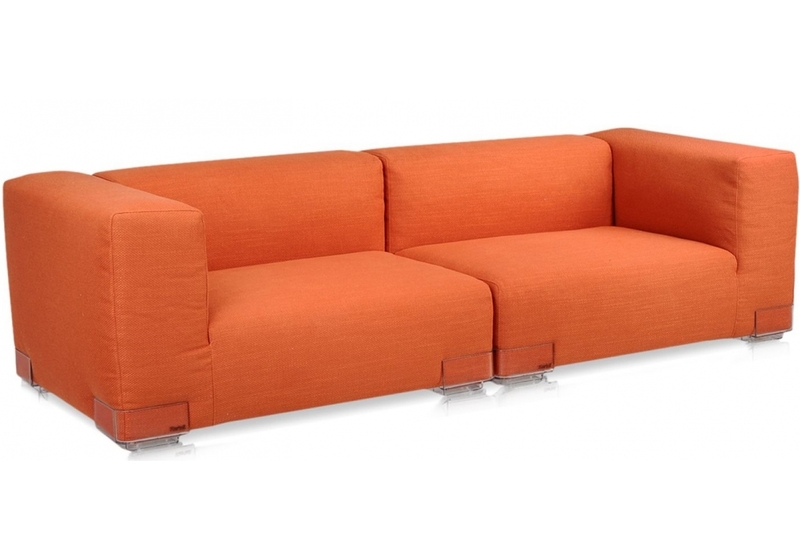 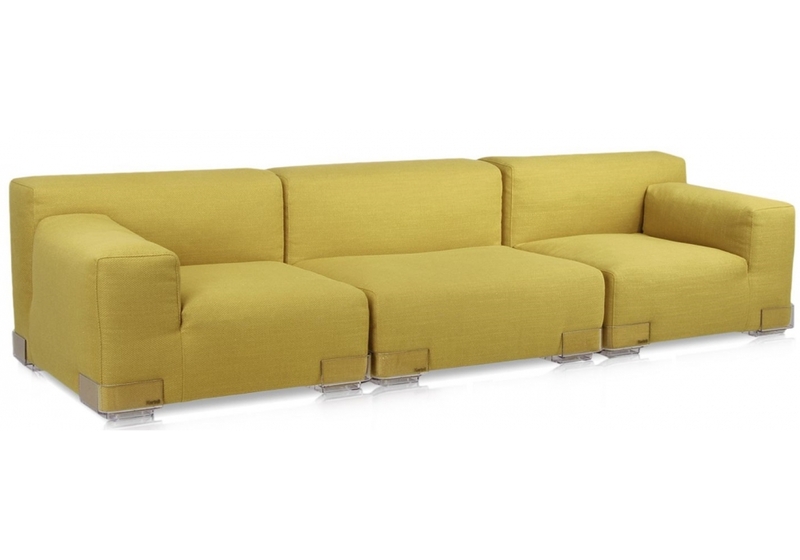 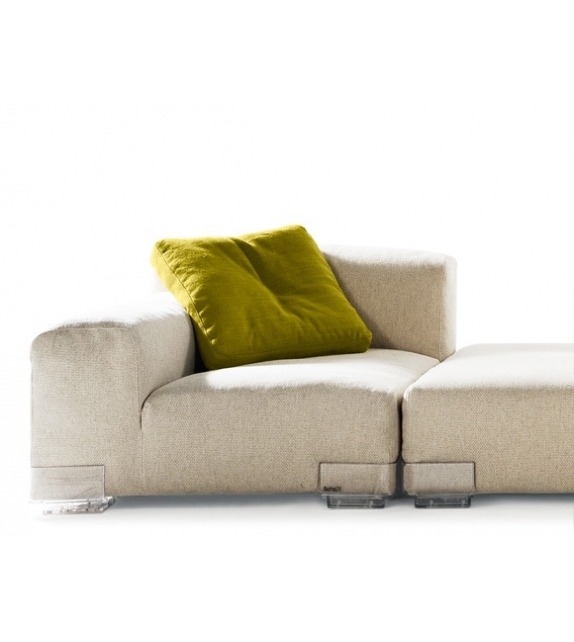 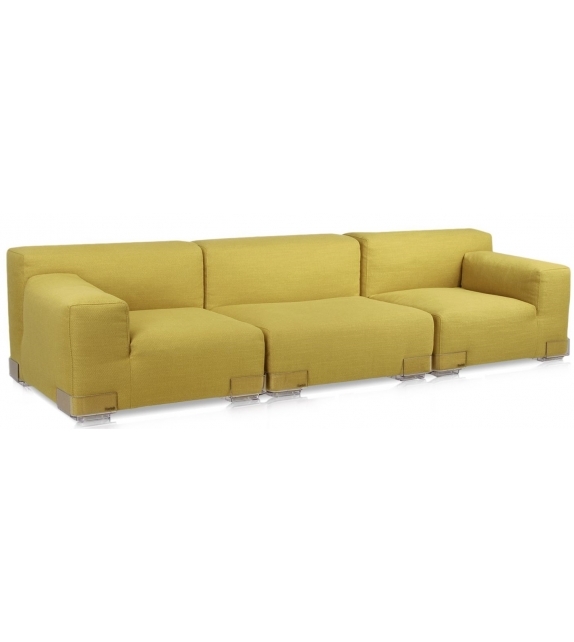 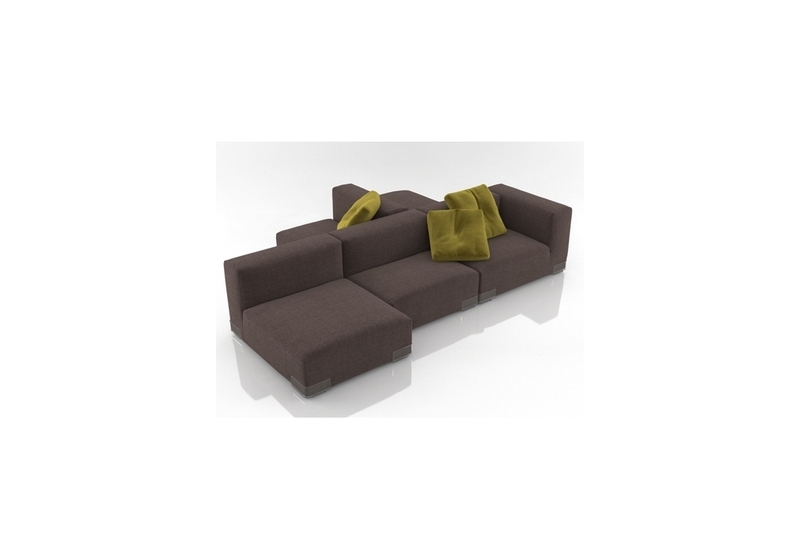 Plastics Duo is a sofa designed by Piero Lissoni for Kartell. 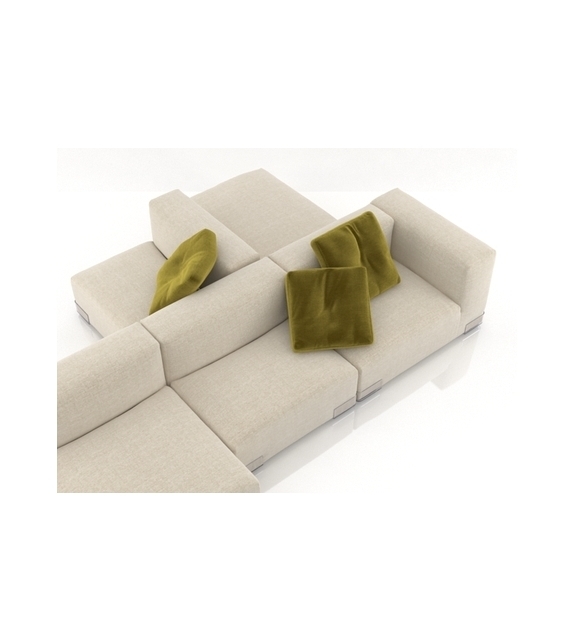 he upholstery fabric of the Plastics modular seating system featuring little transparent polycarbonate feet lends an air of greater refinement and sophistication. 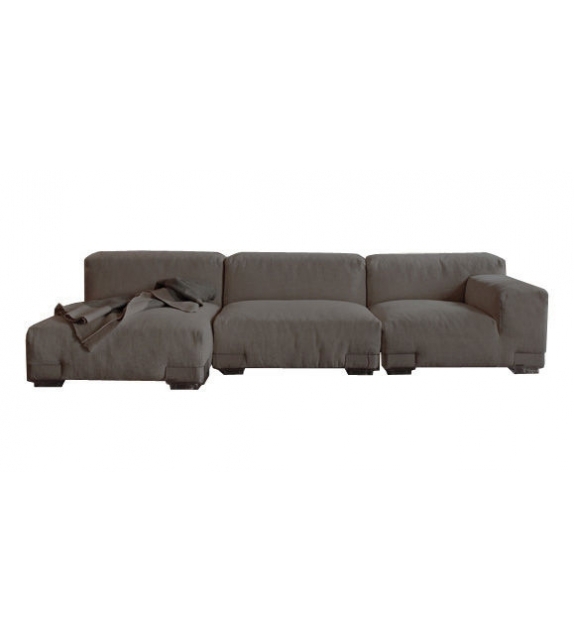 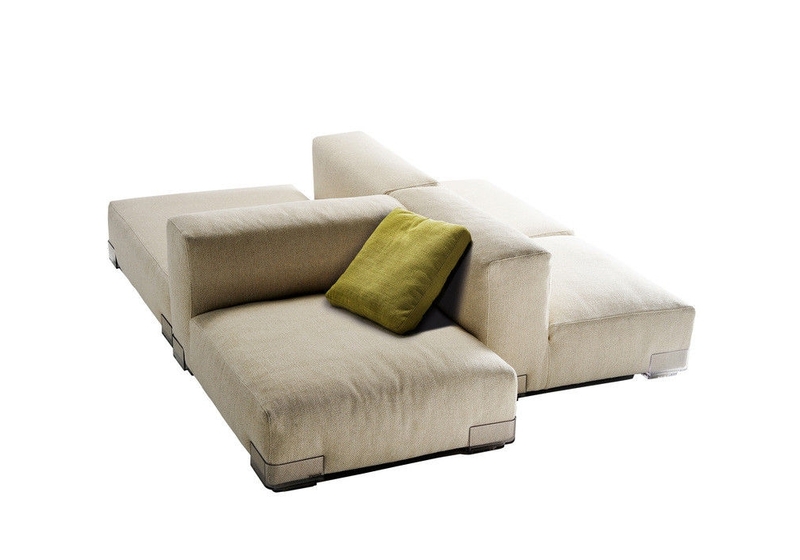 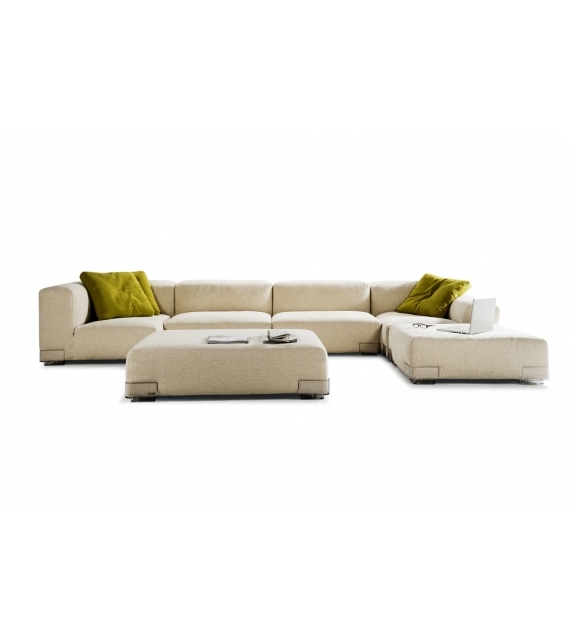 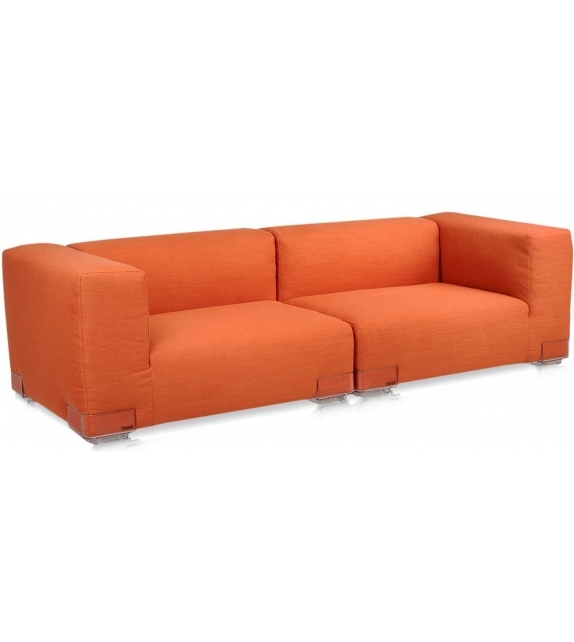 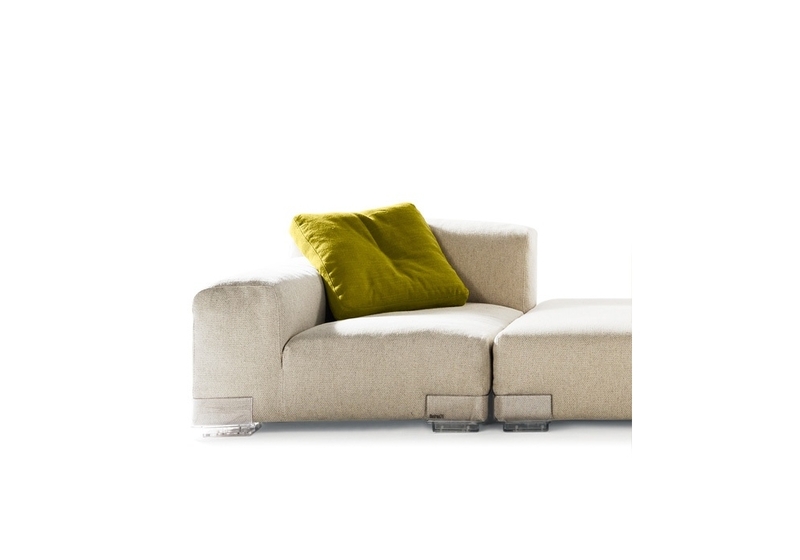 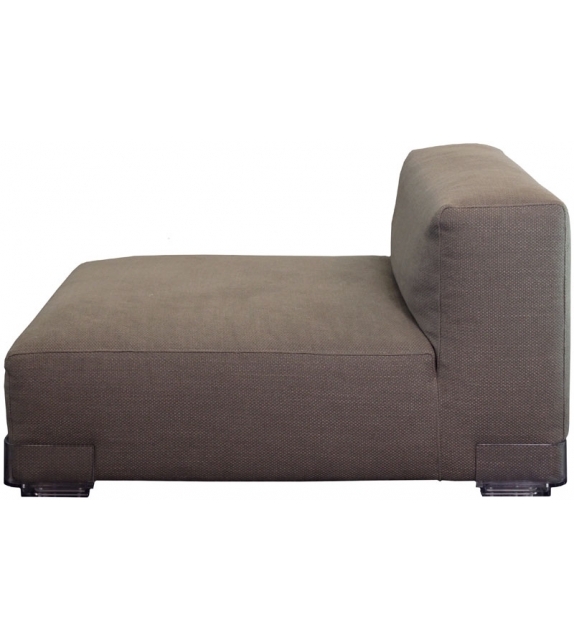 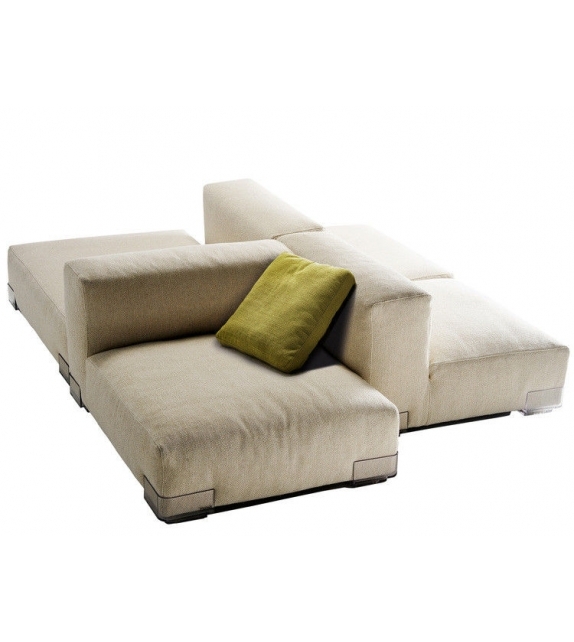 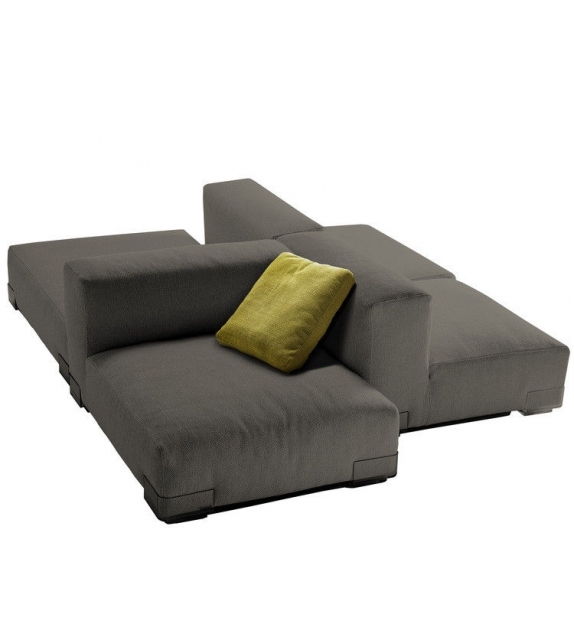 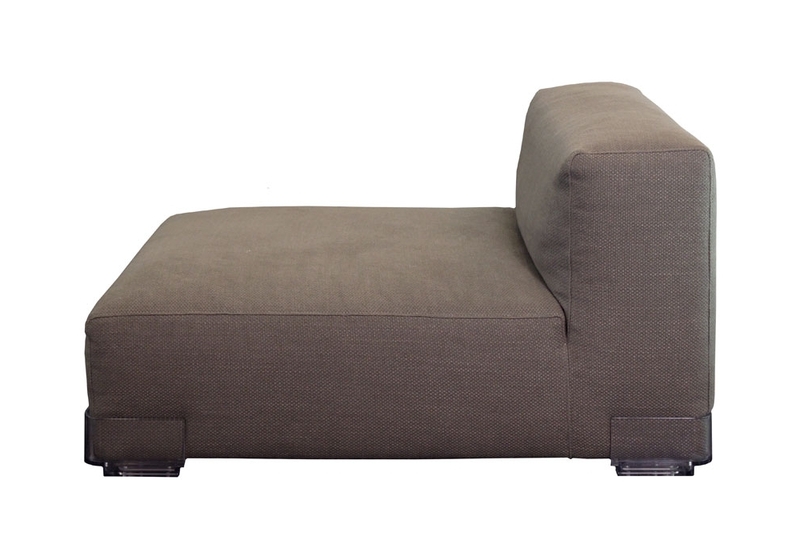 In fact it becomes a veritable sofa for the home, comfortable and soft, elegant but easy. 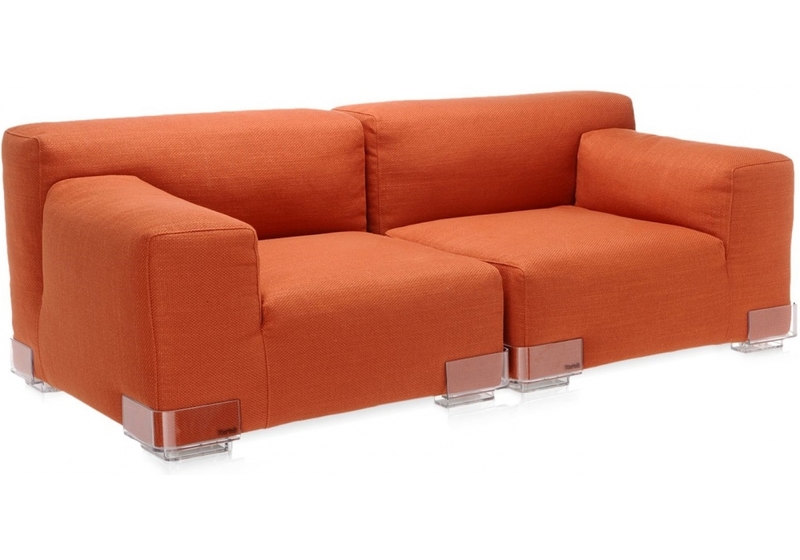 Plastics Duo is a sofa designed by Piero Lissoni for Kartell. 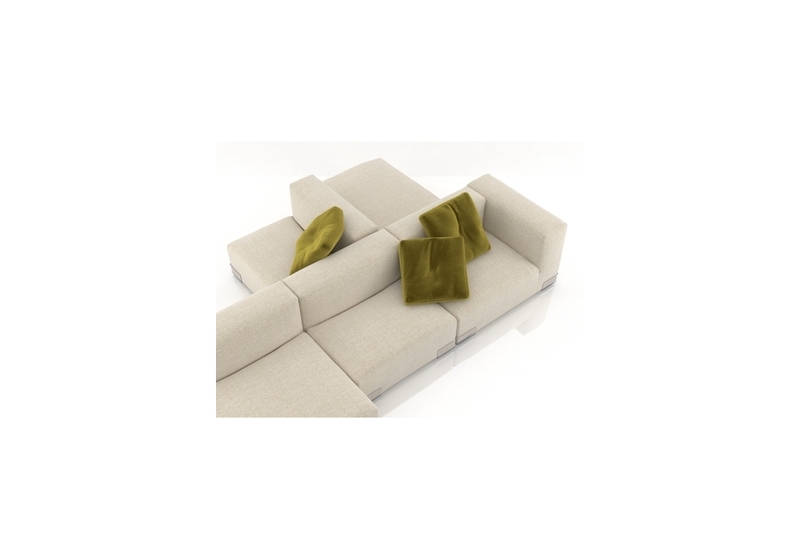 The upholstery fabric of the Plastics modular seating system featuring little transparent polycarbonate feet lends an air of greater refinement and sophistication. 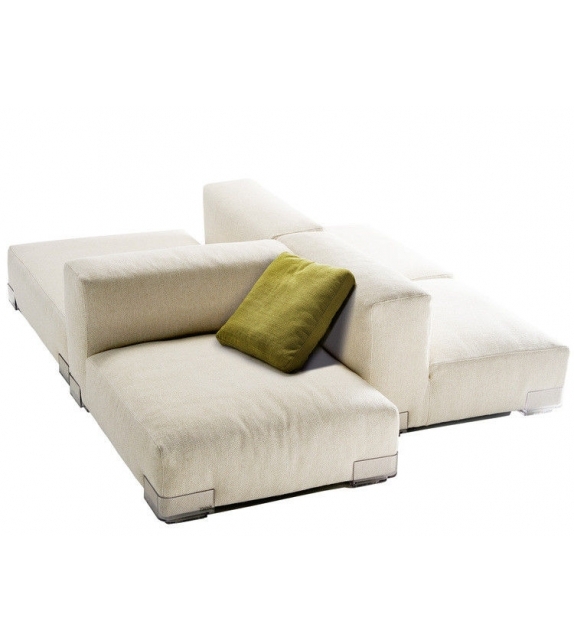 In fact it becomes a veritable sofa for the home, comfortable and soft, elegant but easy. 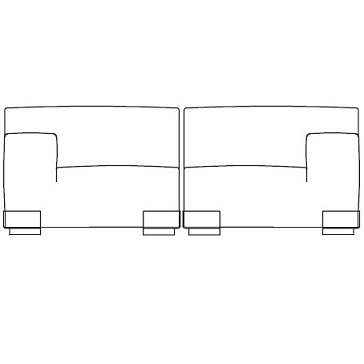 The seat now comes in two different sizes, 88 and 114 cm, and two different heights for the arms. 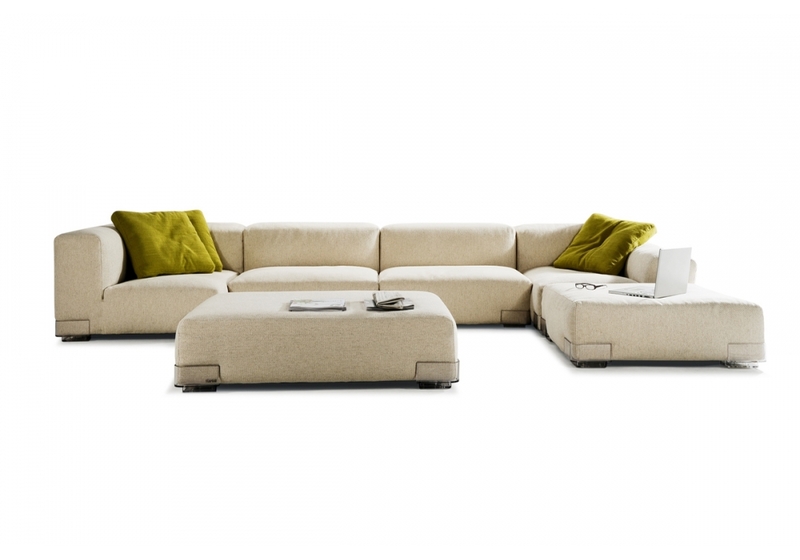 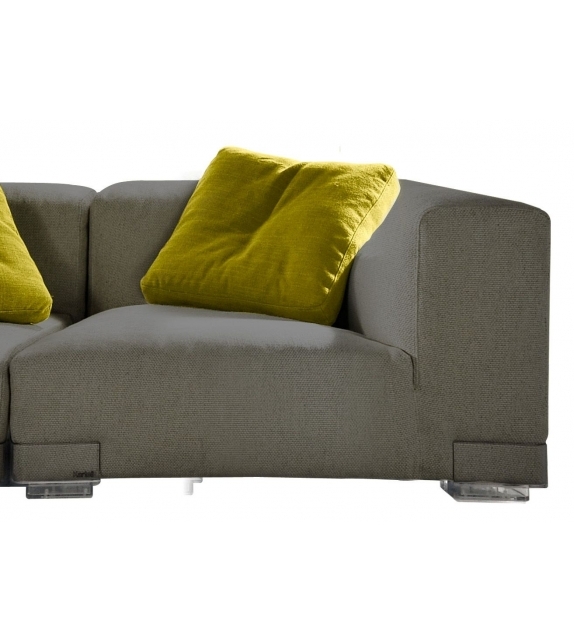 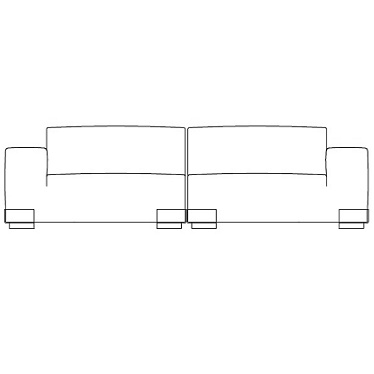 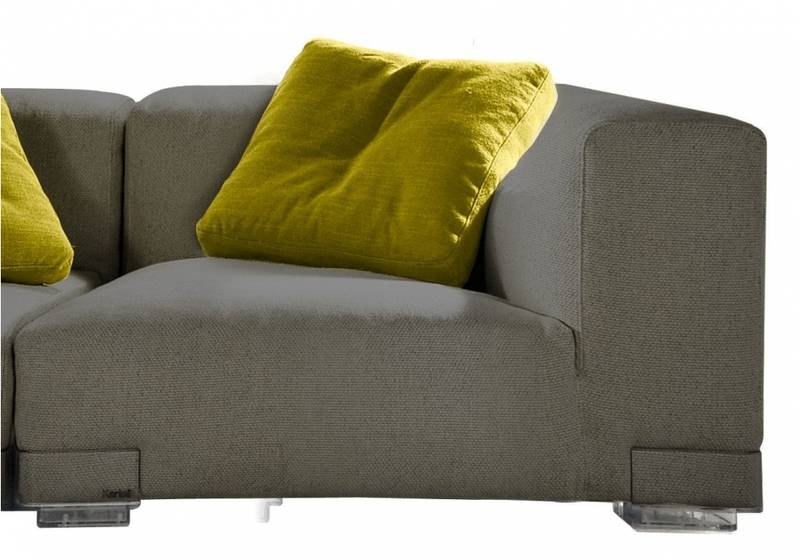 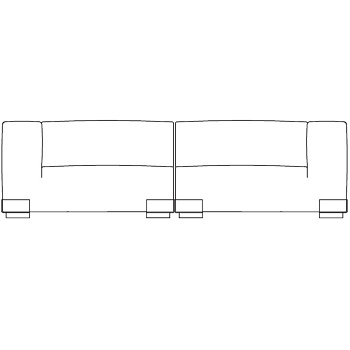 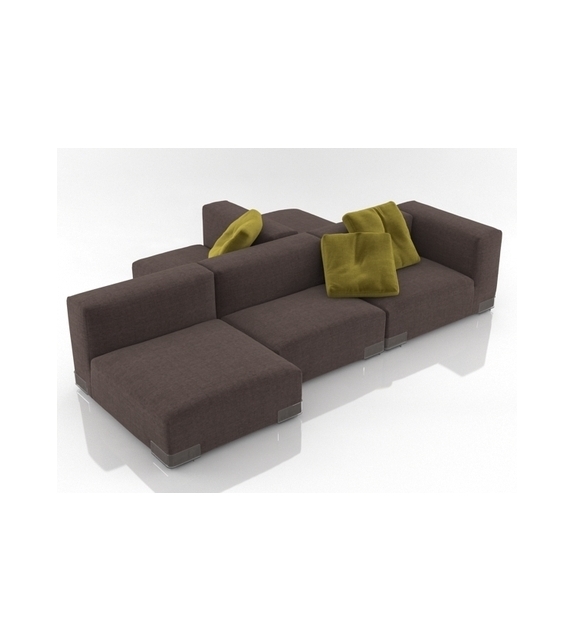 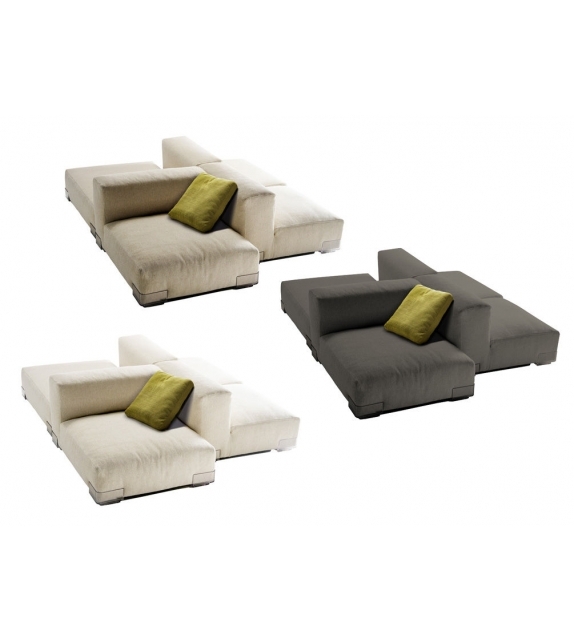 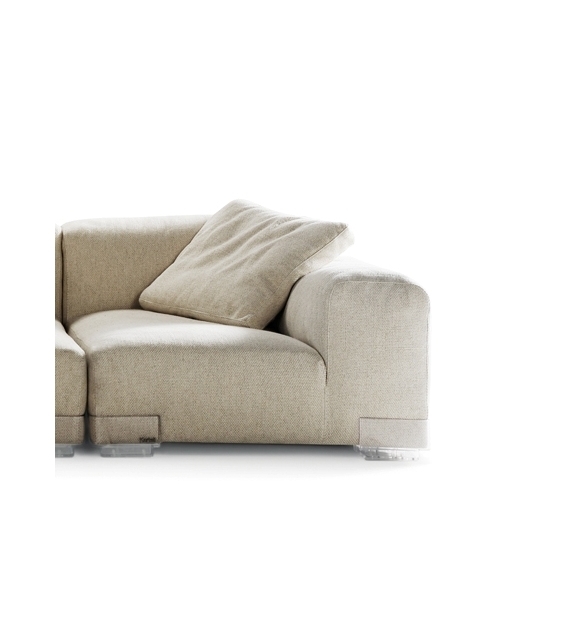 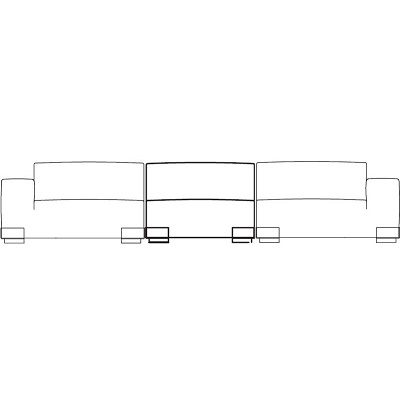 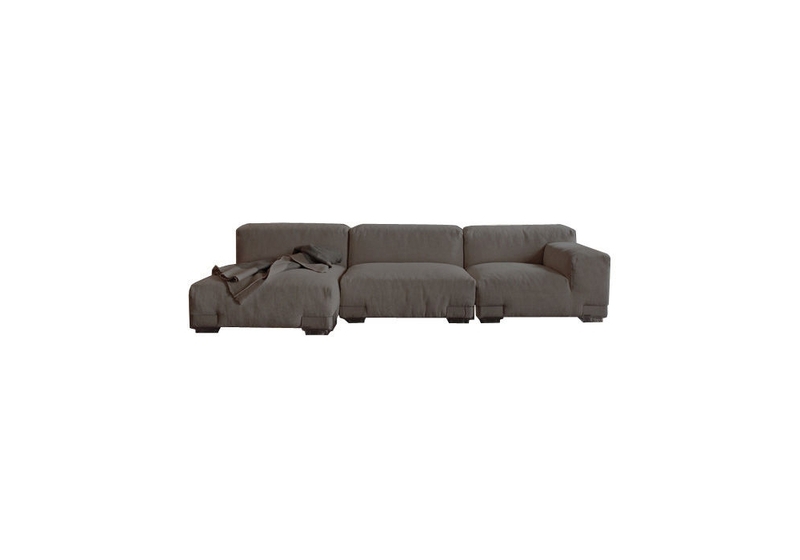 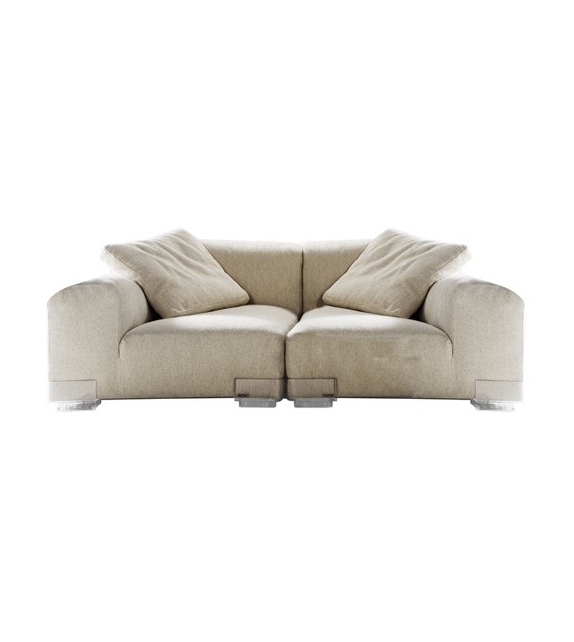 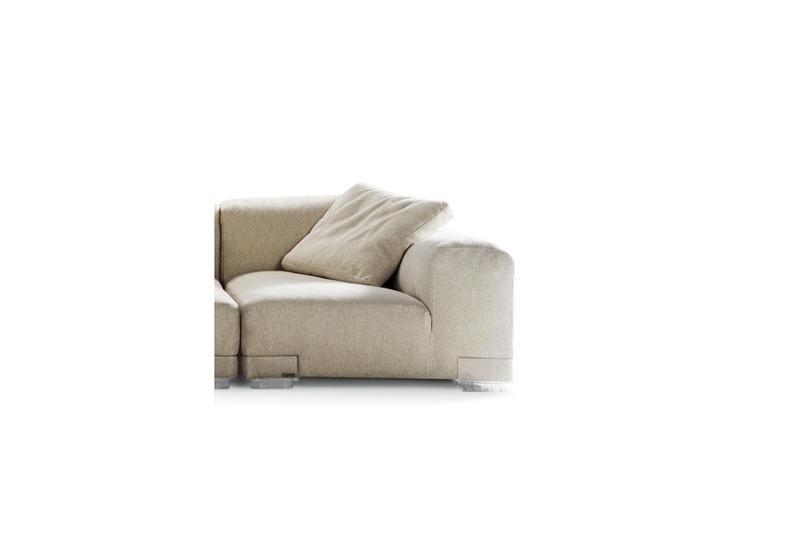 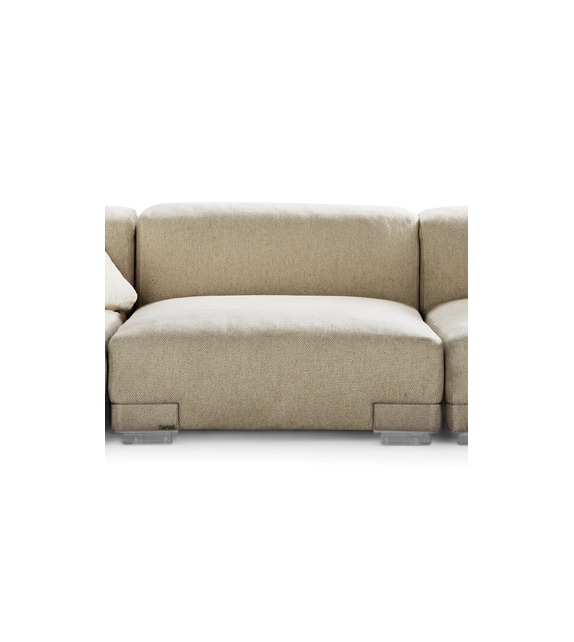 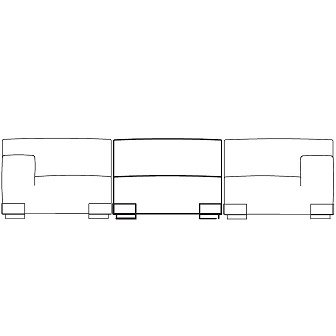 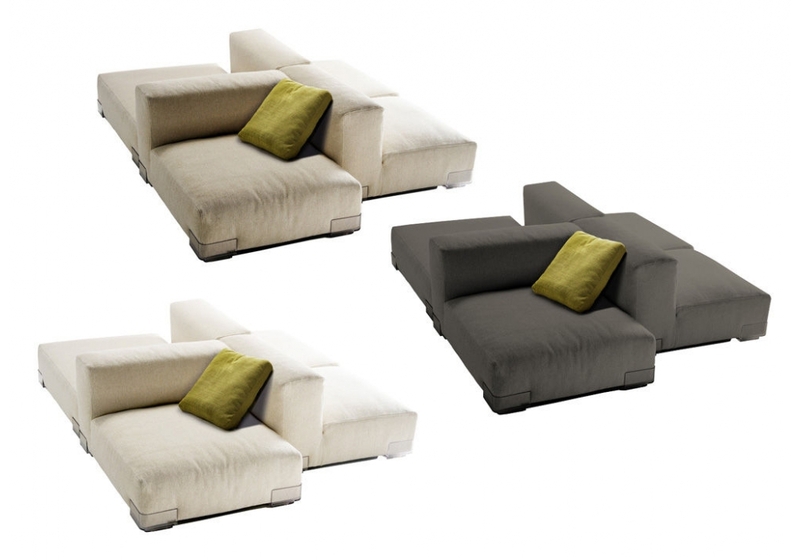 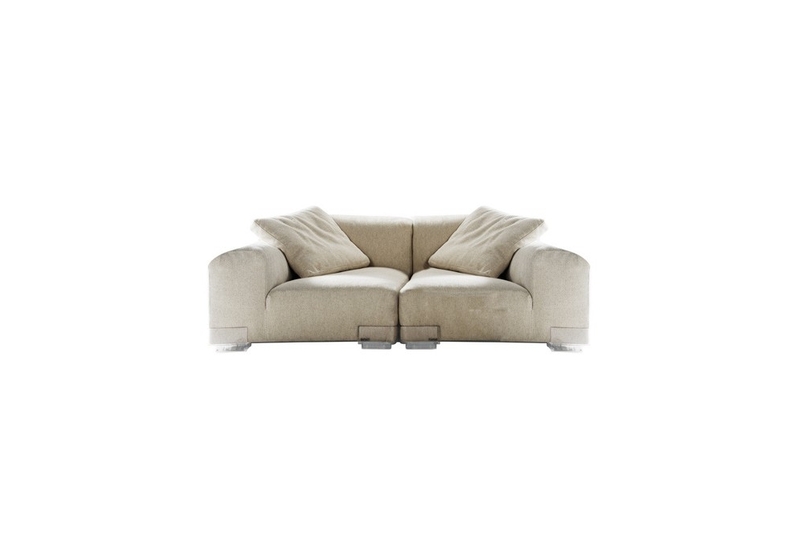 There are still three different models of the sofa: the seat with back, the right arm version and the left arm version.